DESCRIPTION Create a rhythmic shaker with an old tennis ball can. DETAILS Those old tennis ball cans make great rhythmic shakers. 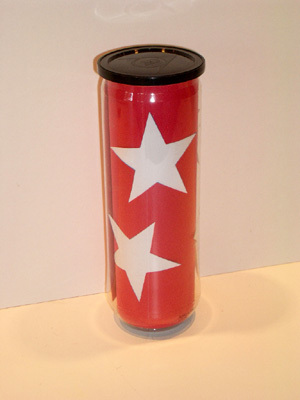 Peel off the outside label on the can and slip paper with your own design inside the can. We went patriotic as our band is going to perform in a fourth of July parade. Put a couple of tablespoons of rice, barley, corn or pebbles inside the can. Put on the lid and shake. Experiment with different contents - surprisingly, they make different sounds!